Ready to embark on a new sweater adventure! Custom Fit is a great option! Custom Fit by Any Herzog is a program where you knit a sweater tailored to your exact measurements. Choose any yarn you would like, choose a sweater template, customize how you'd like (v neck vs boat neck), and you're off! We will set up your Custom Fit profile in class by completing full torso measurements, choosing the perfect yarn, and swatching for your project. We plug your measurements and gauge information into the Custom Fit system and produce a pattern that is customized for you! 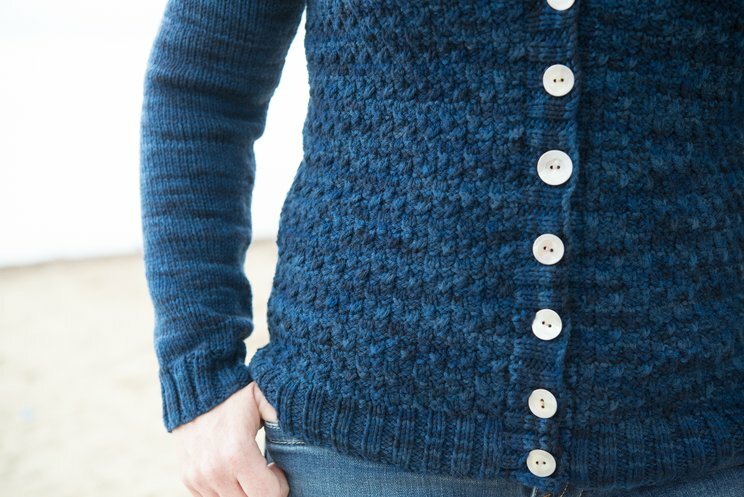 We'll also have demonstrations and practice on how to properly seam and finish garments, so once you're finished knitting you'll have the skills to assemble your perfect sweater.